Penzance offers excellent access to the diverse and productive waters found in West Cornwall. Deep water is found close to land and warmer currents run along the coast. We fish some of the most productive grounds in the country. There are a vast number of species that we can target during a days fishing. 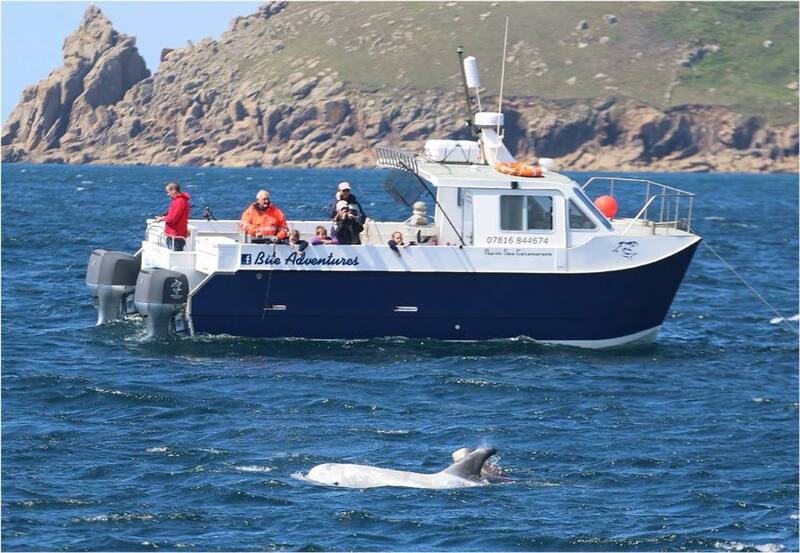 We offer both single booking trips and full charter trips through-out the year. Popular trips include Species Fishing, Wreck/Reef Fishing, Shark Fishing and Conger Fishing. We offer a range of trips to suit all anglers. Take a look at our most popular trips below. 20+ species are regularly caught on these trips... how many can you catch? West Cornwall has some of the best shark fishing grounds in the UK. Bite Adventures is a North Sea Catamaran and is powered by twin 200hp four stroke Honda outboards. She is a fast and stable 9 metre catamaran designed to stand up to commercial use. The stability and power give a fast comfortable ride and this makes her the perfect charter fishing boat. We can get out to our fishing spots fast so that there is less time steaming and more time fishing! Speed and stability for the best fishing experience. Fin-Nor produce the finest rods and reels available - we use this gear on all our trips providing our customers with the best fishing experience.